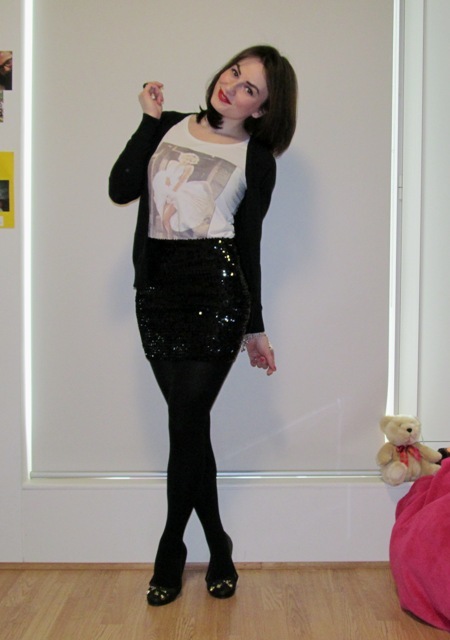 Having contrasts in my today's outfit. 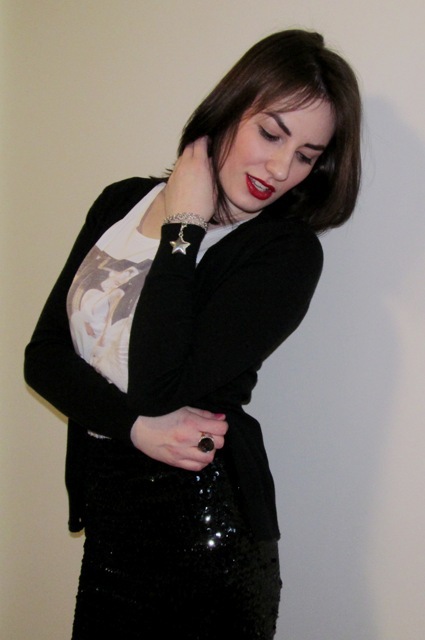 Contrast of black and white, freshened by deep red and bright pink, as well as a contrast of sequins and knitwear. 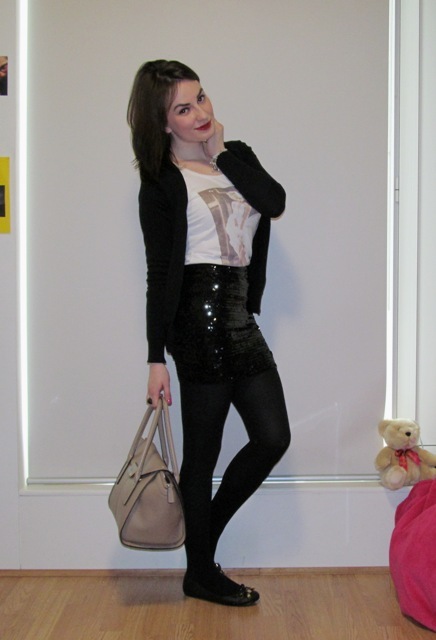 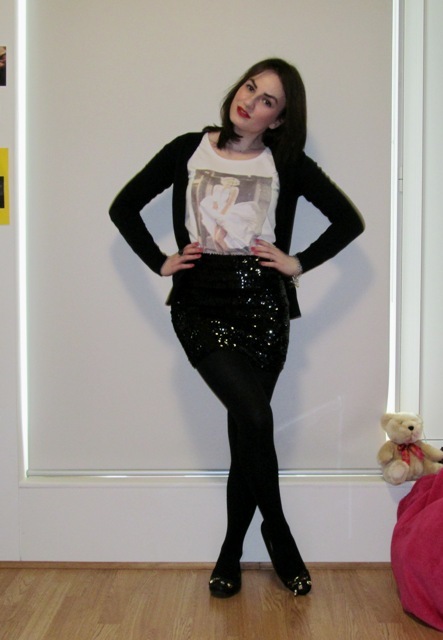 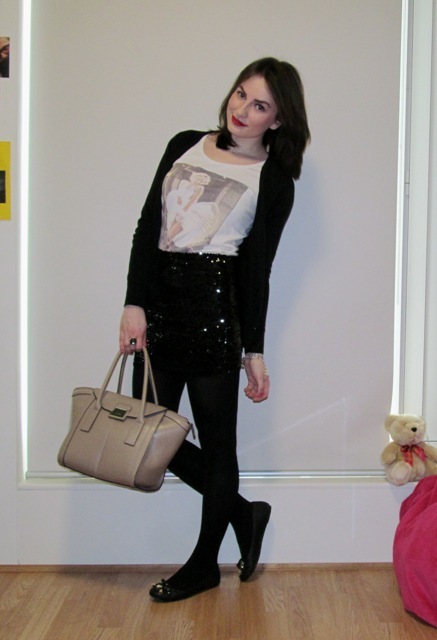 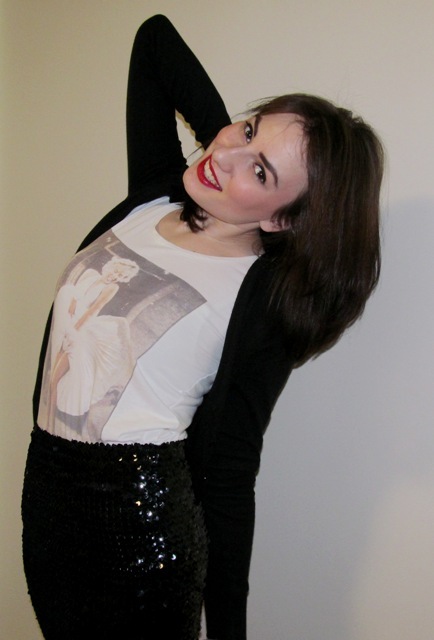 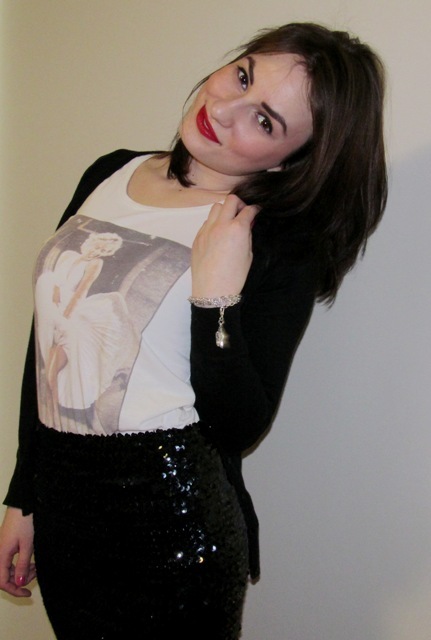 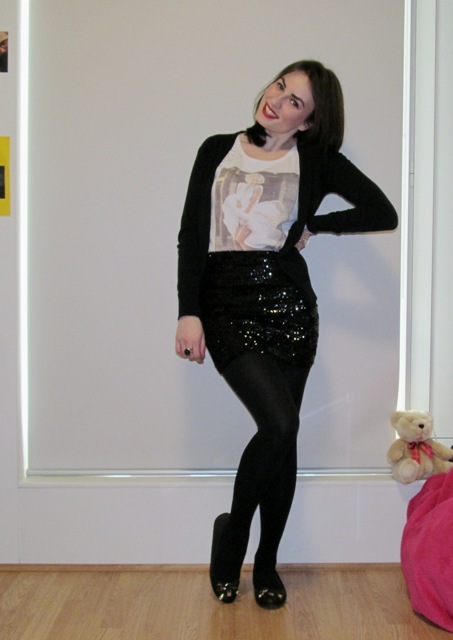 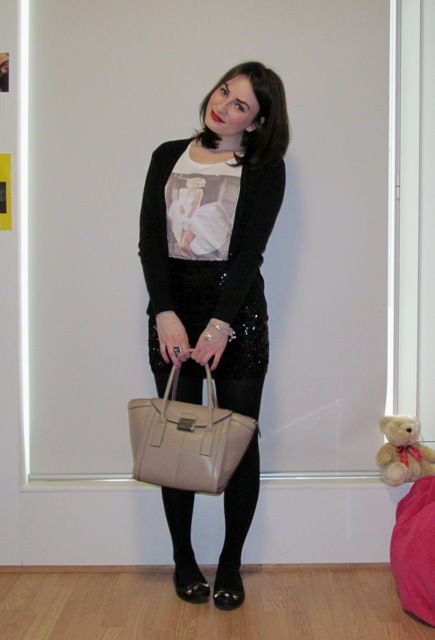 I'm wearing a t-shirt with Marilyn Monroe photo, knitted cardigan, sequined mini skirt, dark tights and flats. 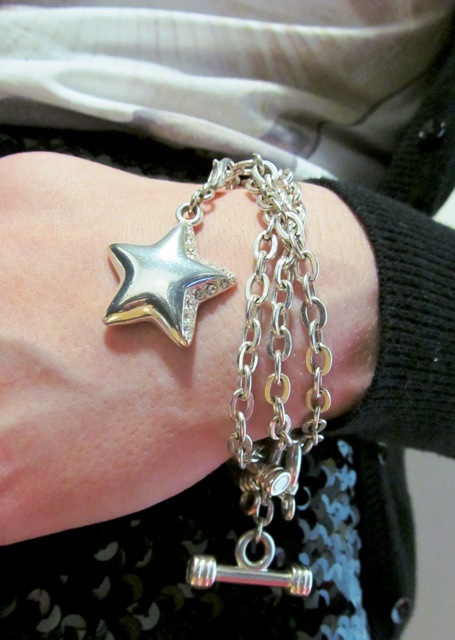 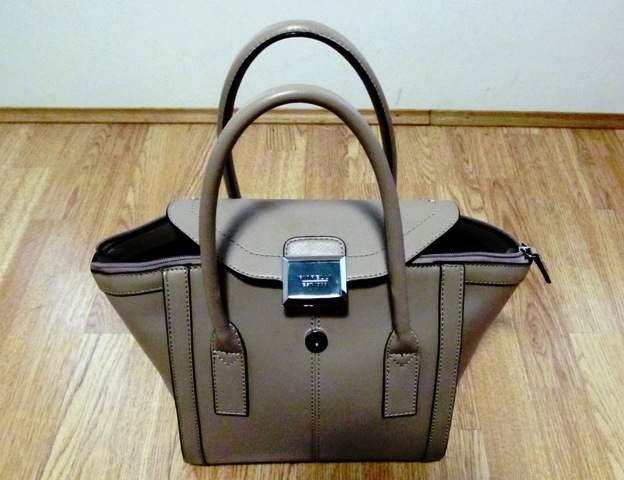 From accessories my choice is a ring with stone, chained bracelet with pendant in star shape and structured handbag. 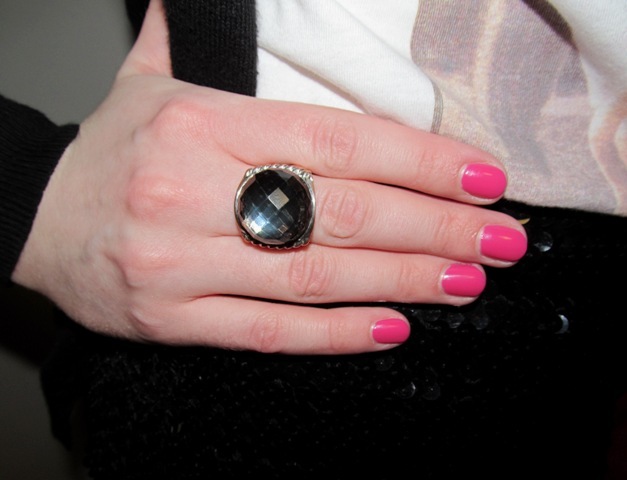 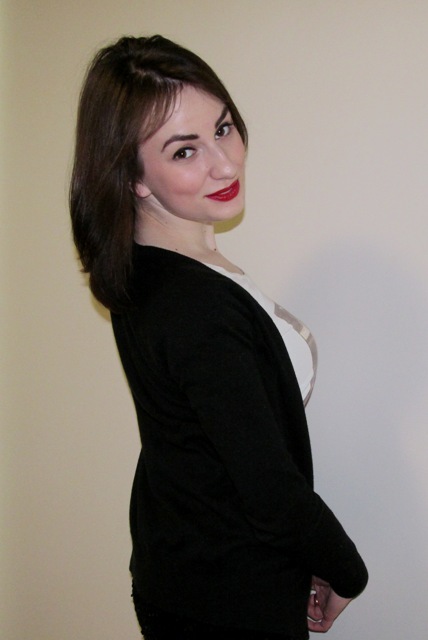 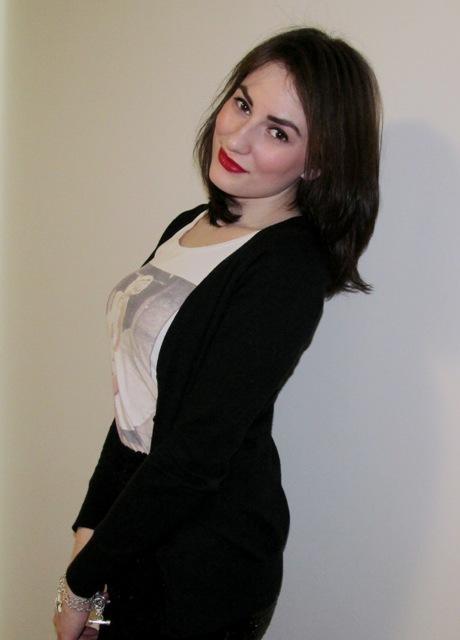 The look is finished by flowing hair, deep red lipstick and bright pink manicure.